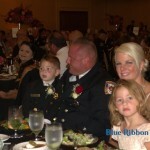 No words ever rang so true for Lewisville Firefighter Austin McKitrick, wife Kelly McKitrick and their three-year-old son Aiden, grantee of the 4th Annual Firefighters Ball held on Saturday, Aug. 27, at the Hilton Dallas/Rockwall Lakefront. 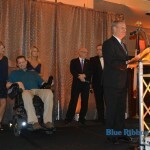 Close to 800 people – including North Texas firefighters and their families – came out to show their support for Aiden, who was critically injured after falling from a boat on Lake Ray Hubbard on May 5, 2016. 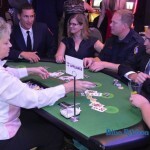 Hosted by local nonprofit The Colbert Project, the event saw folks dress in their formal best for a fundraising night of dinner, live and silent auction, casino games, dancing and more to benefit Aiden and his family. 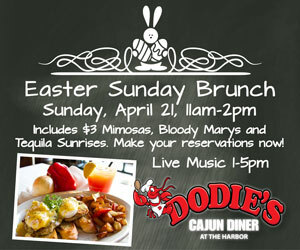 Aiden was critically injured after falling from a boat on Lake Ray Hubbard on May 5, 2016. As dinner commenced, Rockwall Fire Chief Mark Poindexter addressed the McKitricks and all other fire families inside a packed Hilton Bella Harbor Ballroom. 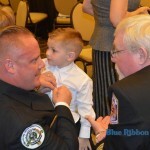 “The night that this tragedy happened, this little boy’s life changed forever and his family’s life changed forever,” Poindexter said. “This little boy is strong, he’s a fighter, and he’s not going to give up. 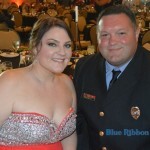 The Firefighters Ball fundraiser has benefited three firefighters and their families since being founded back in 2013 by Emily Colbert and her husband Devon Colbert, the Ball’s first participant. 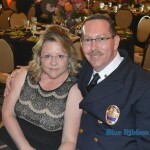 Devon, a firefighter of the Garland Fire Department and volunteer firefighter for the Rockwall Fire Department, suffered a spinal cord injury in a car accident in 2012. 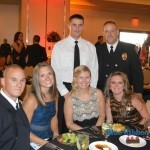 Following the success of the first Firefighters Ball in 2013, Emily and Devon founded The Colbert Project – a 501(c)3 non-profit organization focusing on giving back to those who have selflessly given to the communities in which they serve. 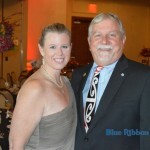 Each year, The Colbert Project continues to provide financial assistance, along with support, to other fire families facing financial strife brought on by illness or off duty injury with its annual Firefighters Ball fundraiser. 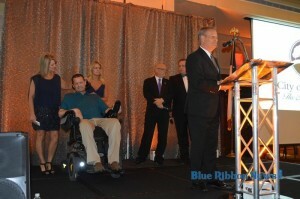 The beneficiary of the 2014 Firefighters Ball was Dallas Firefighter Jeff Patterson, who suffered burns on 35-40 percent of his body in a two-alarm house fire in Dallas. 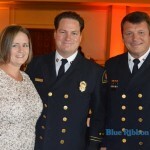 Dallas Firefighter Tracy Beard, the 2015 Firefighters Ball recipient, was diagnosed with ALS in 2013 and to this day continues to battle the disease. Attendees of the 2016 Firefighters Ball welcomed Tracy and his family including his brother Clint, who spoke on his behalf during the event. 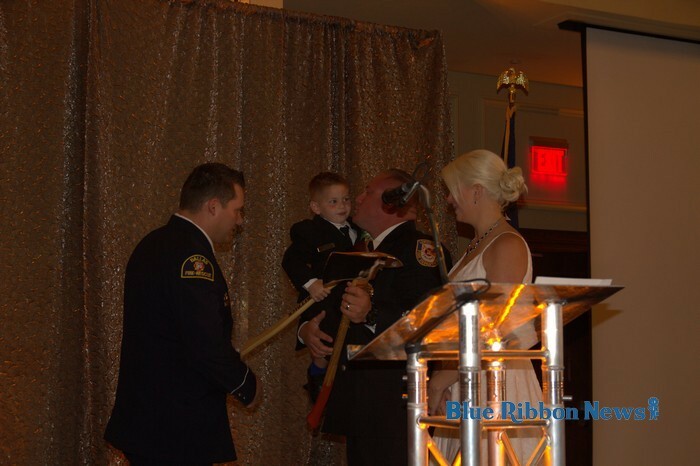 After recognition of the event’s past participants, Zane Krempin and Charlie Abney with the Dallas Fire Department had the honor of presenting a fireman’s ax to Aiden. 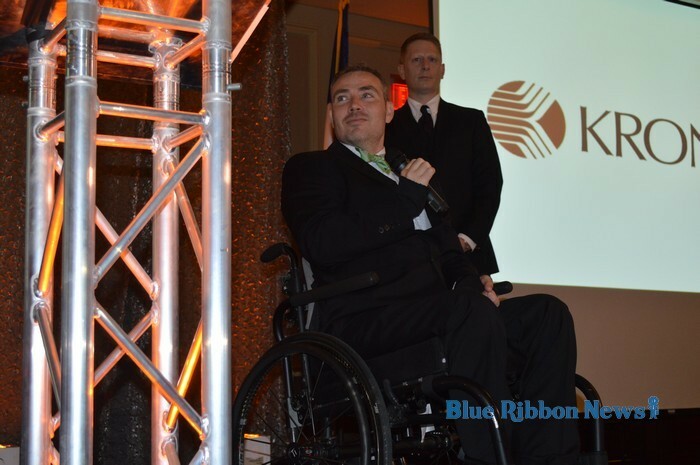 “For me personally, whether it’s been a funeral for one of my brothers in Dallas, a Hooligans event, or an event with Sons of the Flag which Austin is a part of, Austin has been there over the past seven years anytime I’ve ever need him,” Krempin said. 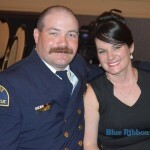 “He’s truly a brother to the fire service. 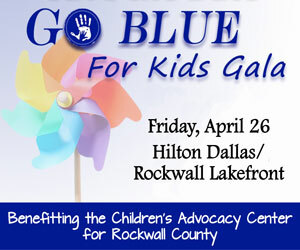 Aiden is a typical, energized three-year-old boy who has beat all the odds sustaining life-threatening injuries. 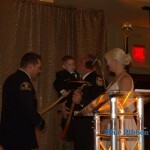 Aiden receives an honorary fireman's ax. 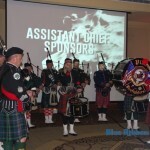 Guests also enjoyed a performance by The Brotherhood United Pipes and Drums led by Pipe Major Damion Roberts of the Lewisville Fire Department and comprising of 18 members representing the Lewisville, Irving, Flower Mound, Coppell, Bedford, Ft. Worth, Waco and Plano fire departments. 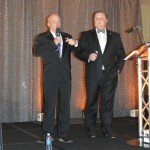 Emcees of the event were Justin Holland, Republican nominee for House District 33, and David Sweet, Rockwall County Judge. 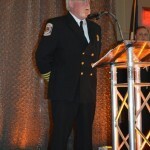 Sweet said as County Judge he has the honor of getting to emcee at many different local events, but none as distinct as the Firefighters Ball. 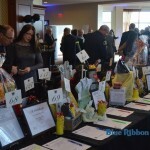 The community members and firemen in attendance certainly stepped up to the occasion that night; more than $55,000 was raised from the event’s live auction for the McKitrick family. 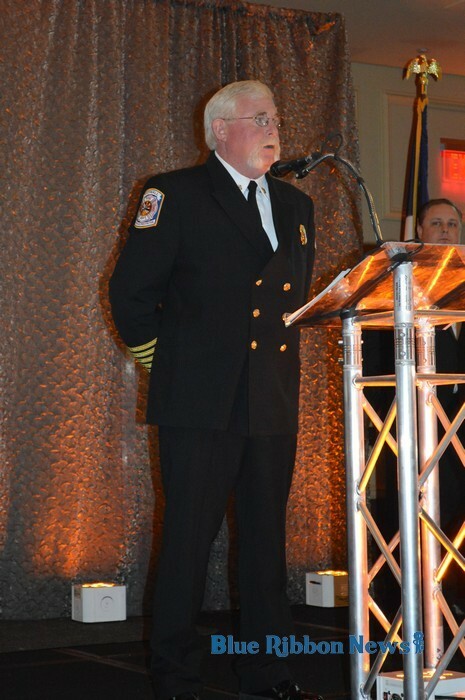 “No Brother Battles Alone.” Those aren’t just words; they represent the mission of The Colbert Project, and a way of life for our nation’s firefighters. 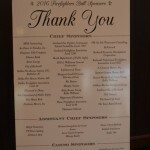 For more information on the Colbert Project and the annual Firefighters Ball visit thecolbertproject.org. 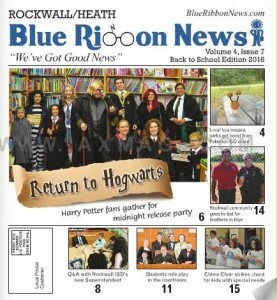 Story by Austin Wells, Blue Ribbon News editor / senior reporter. 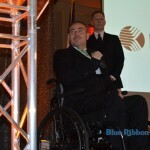 Photos by Austin Wells and Richard Redig, Blue Ribbon News. 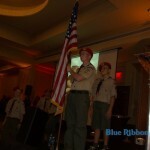 Aiden receives an honorary fireman’s axe. 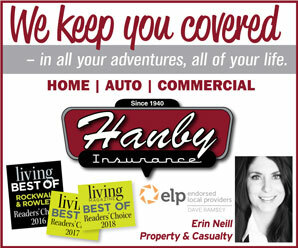 Your #1 source for positive hometown stories, entertainment and events. 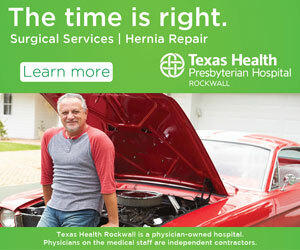 Our print edition is delivered free to 18,000+ homes in Rockwall and Heath, TX. 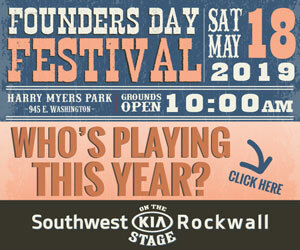 For advertising inquiries both online and in print, call 214-342-8000 or email advertising@BlueRibbonNews.com. 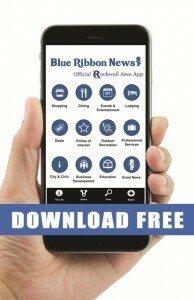 Download the FREE Official Rockwall Area App for Apple iPhone or Android.